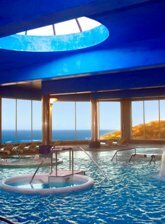 Thalassotherapy Biarritz, Anglet, St Jean de Luz, Hendaye on the Basque Coast. Thalassotherapy Spas combine the benefits of the sea air and water with a lot of relaxation & pampering, all for your health and wellbeing. Thalassotherapy centers have Jacuzzi styled high water pressure jet massages, sea water treatments, mud and seaweed baths, sauna and hammams which help you to both relax and tone up your muscles at the same time. Facing the ocean, the Gerlain imperial SPA is a heaven of peace. A unique place dedicated to beauty, wellbeing and luxury. 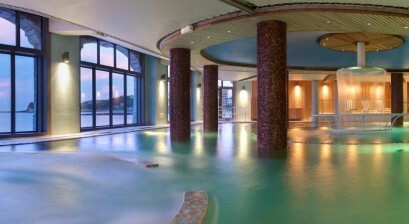 Heated indoor pool, jacuzzi, sauna, hammam, cardio-training. Overlooks the beach and the yacht marina. 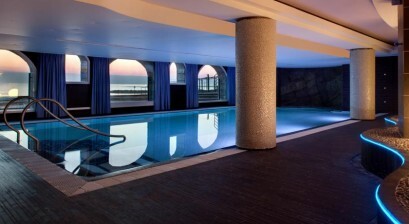 Grand Hôtel Thalasso & Spa is located on the seaside in Saint-Jean-de-Luz. Facing the bay of St Jean de Luz on the beach. Hotel Hélianthal is close to the beach, in the heart of Saint-Jean-de-Luz. It offers free access to the Spa Bio Marin. The Spa includes sea water treatments, massages, a hammam, a sauna and a gym.